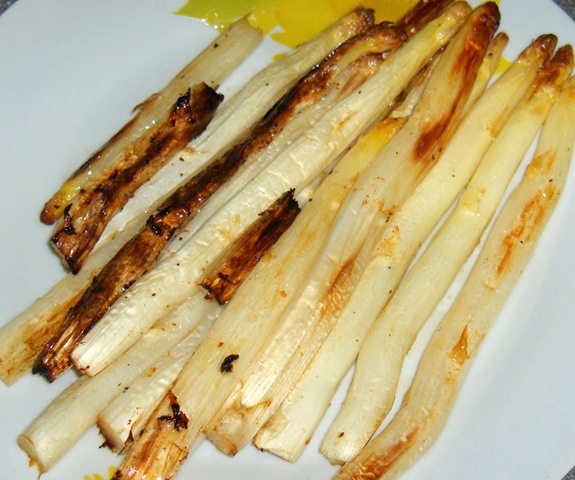 Roast the asparagus – I did this by putting a bit of butter and olive oil into a roasting pan. I put the asparagus in and gave it a good toss. Placed the pan in a 450 degree F oven for 20-30 minutes until nicely browned (you can even go for a char on it) and tender crisp. For the eggs, I heated up some water to just below boiling. To a medium pot of water, I added 1 T. of vinegar (I used balsamic because I love the flavour but you can use any kind) and then cracked in the eggs gently. Simmer for about 3 minutes and remove with a slotted spoon carefully. 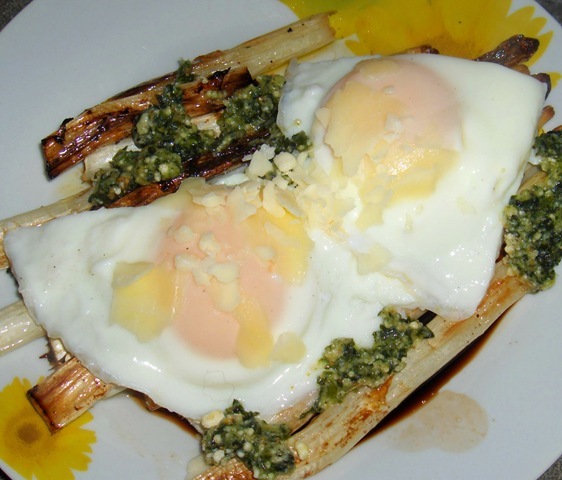 I spread the gremolata over the asparagus, drizzled on a touch of olive oil, then topped with the eggs. I added some shaved Parmesan to top it off. 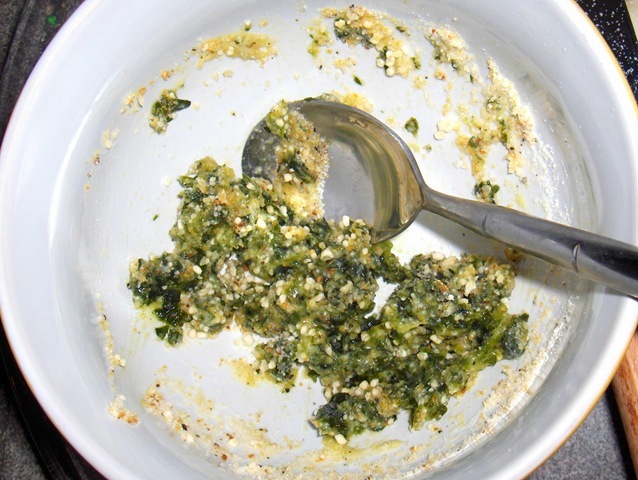 You can add salt and pepper to taste – I only used pepper because I find the cheese makes it salty enough. DELICIOUS, quick, and easy! Instructions: Mix together the dry ingredients (including the dill) in a large bowl. Add in the yogurt and stir until a soft dough forms. Knead the dough on a lightly floured surface until it feels elastic, 2-3 minutes. Place dough in a bowl, cover, and let sit for half an hour to rest. Separate the dough into 4 pieces and then roll each one out to form an oval about 8 inches in size. You can cook these in a couple of different ways. You can cook them one at a time in a skillet with some butter – you want them to bubble and brown. It takes about 4 minutes on the first side and a couple more on the second. You can also grill the breads over medium high heat for approximately 4 minutes per side. Serve fresh or make ahead and then just before serving, warm them in a 300 degree F oven for about 5 minutes. As a yummy extra touch, brush them with some melted butter and top with sea salt and fresh chopped coriander. this all sounds delicious, especially the flatbread!